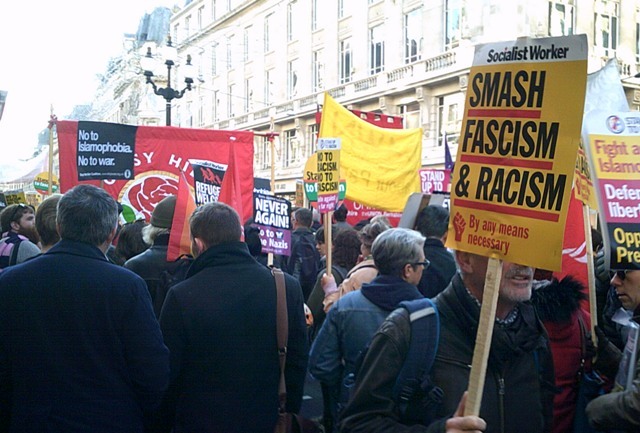 15-20,000 people marched against fascism and racism on Saturday 17th November. 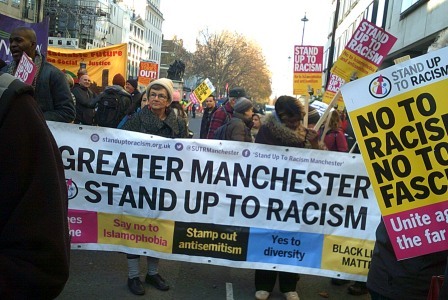 The march was organised jointly by the TUC and Stand Up Against Racism and Fascism. It was called in response against the emergence of right wing and neo-fascism in both the United States and in Europe. 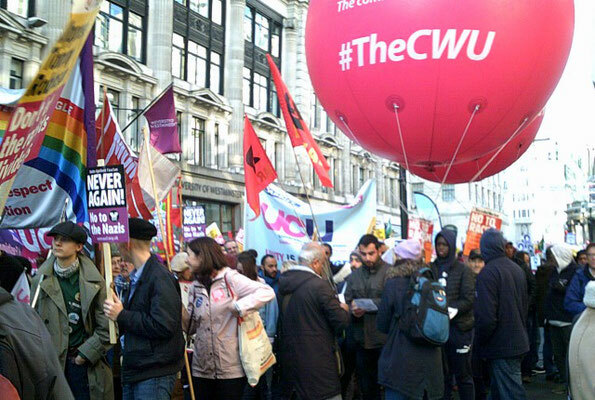 The march started out from Broadcasting House and marched to Westminster where it was addressed by speakers from the Trade Unions and the Labour Party. The march, which was dominated by the two main centrist groups in Britain – the Socialist Workers Party and the Socialist Party – was lively with chanting slogans against the Tories, Donald Trump and the right wing populist groups in Europe and Britain. Many youth participated in the march with singing and chanting. 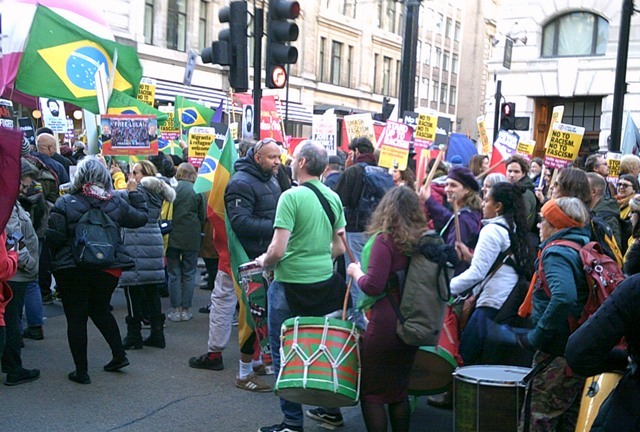 There was a Reggae band which showed the multi cultural aspect of the march. 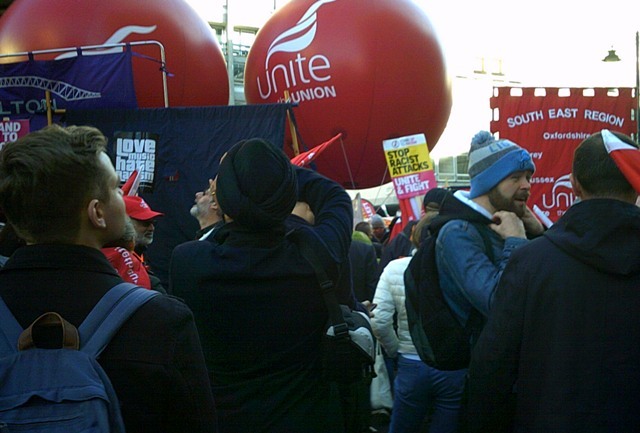 There were big contingents from the Trade Unions including Unite, the CWU the RMT, Unison, UCU the education unions and other smaller Unions. Many Labour Party branches carried banners including Hastings and Rye Clapham Gipsy Hill and Southwark. As we marched towards Westminster past horse guards parade and Downing street there was a miniscule group of Fascists surrounded by hundreds of Metropolitan police and across from them were 3 Zionist supporters also surrounded by police. It was noticeable that the Zionists in Britain are very close politically to the fascists irrespective of the fascists being anti-Semitic. They were there because pro-Corbyn supporters were speaking at the rally. RCIT comrades sold a number of Revolutionary Communism journals as well as copies of Liberation – the Bulletin of the British section of the RCIT.